A classic meal with a bit of a twist. I've added grated carrot to give it a slightly different texture and kept it oil-free. When it comes to comfort food, it doesn't get any better than this. Place the yam, grated carrot, red pepper mix and vegetable stock in a large pot and stir to combine well. Serve hot with a garnish of chopped spring onions. How do you make the vegetable stock? Sounds like a very simple meal. Thanks for sharing! ooooo! 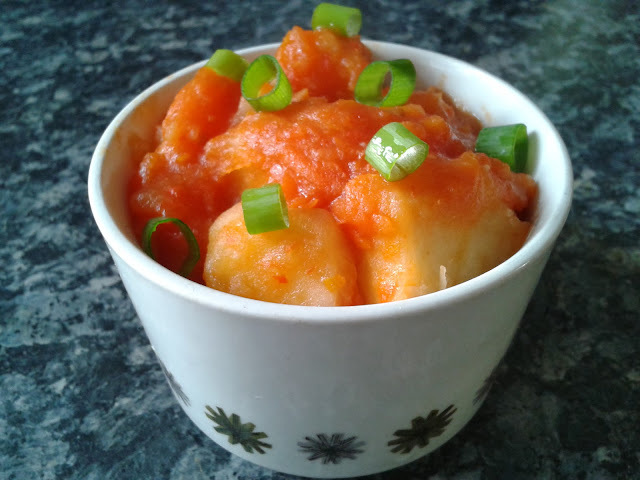 Yam pottage is one of my FAVORITE Naija dishes...double thumbs up for this one Vegan, thanks! No worries :) yam pottage wins any day! The coming of autumn has Soup much more appetizing to me and I can't wait to try this. Thanks!